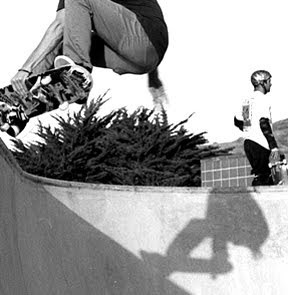 The skate park at Pacifica was crowded on this day in 2005. Somehow i managed to stand at the bottom of the bowl and shoot two frames of Steve Farrell hitting a harsh wall. Peep it.